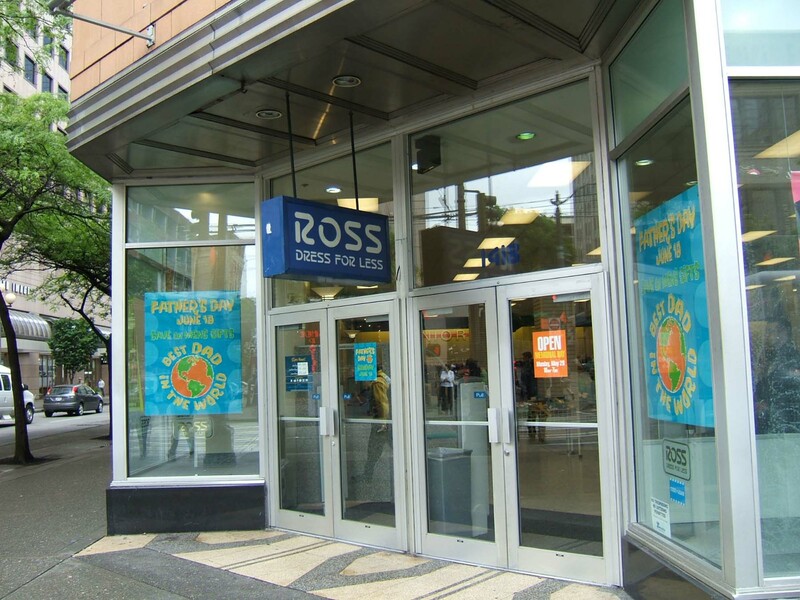 Prominently located at the SE corner of Third Avenue and Pike Street, this is a particularly distinctive three-story retail chain store building measuring 176’ x 111 ft. The exterior is distinguished by two–part façade composition with 10 bays oriented toward Third Avenue and six bays toward Pike Street. It exhibits highly distinctive streamline Moderne architectural character accentuated by Art Deco-inspired terra cotta ornament, modern aluminum details and a low horizontal building form interrupted by a prominent truncated tower at the principal NW corner entry. The steel-reinforced concrete structure with a concrete foundation and basement is almost entirely clad with smooth terra cotta panels and ornament. The base or storefront level is clearly distinguished from the shaft and is primarily clad with a salmon color terra cotta and capped by a wide sign band that includes a narrow chevron frieze. The shaft is clad with wide cream color terra cotta and distinguished by fluted piers/pilasters that terminate at the roofline with a staggered/stepped parapet treatment. The parapet line in conjunction with raised pilasters and ornate vertical spandrel panels (using the darker salmon color terra cotta) creates a rhythmic pattern of layered piers, spandrels and windows at each bay. The recessed spandrels are embellished with vertical salmon colored vine and flower ornament that contrasts with the dominant cream color surfaces. The low horizontal building form is punctuated by a clipped corner entry and a prominent truncated tower at the principal entry located on the NW corner of the building. The entry vestibule is recessed with original black and beige patterned terrazzo paving in place. The tower rises approximately 12 feet above the parapet line with a stepped cap and scalloped parapet trim. The tower is further accentuated by an Art Deco inspired clock flanked by horizontal wing ornament and minimal abstract floral bas relief. The storefront bulkhead is clad with smooth polished black granite and a streamline band of fluted aluminum runs in a horizontal band above display windows. Most of the storefront windows appear to be new aluminum double-glazed product somewhat similar to the original display windows. Several display windows are now covered by obscuring film. Portions of original aluminum fixed sash members appear to remain in place at entryways. Original terrazzo paving, fluted door surrounds and ornate coffered soffits remain in place at the corner entry and at an original secondary entry vestibule on the Pike Street facade. The painted metal sash at the upper floor levels appears to be original. In addition to storefront window alterations, modern back-lit plastic signage has been installed. The original vertical red “Woolworth’s” sign that embellished the corner face of the tower and announced the main entryway is no longer in place. The original emblematic “F. W. Woolworth Co.” signs that were located at each storefront sign band and composed of individual gilded and raised letters have also been replaced with modern new signage. The interior has been completely remodeled. There do not appear to be any intact or architecturally significant interior building features, finishes or public spaces.